Produced by the U.S. World War I Centennial Commission, the ceremony “In Sacrifice for Liberty and Peace” took place at the National World War I Museum and Memorial in Kansas City on Thursday, April 6, 2017. 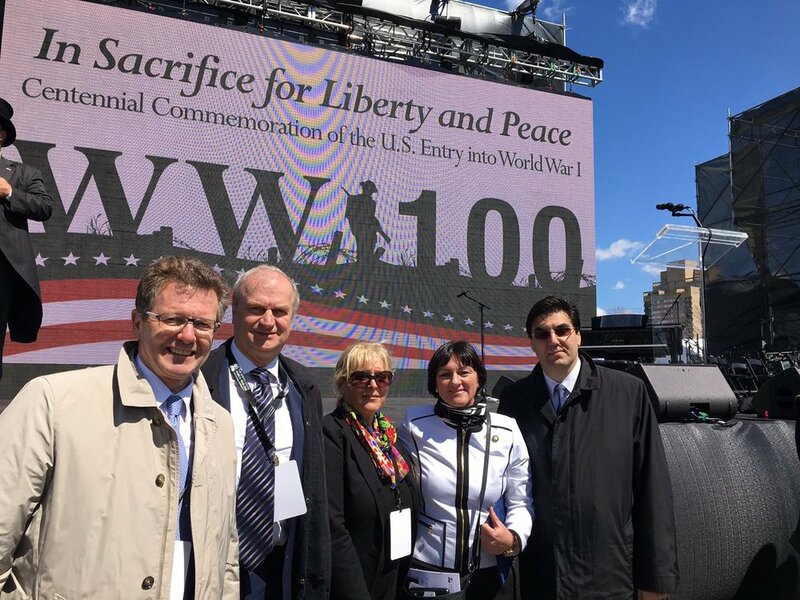 Ambassador Waldner (left) with colleagues at the Centennial Commemoration of the U.S. Entry into World War I. Memories of the Great War were presented through writings, including selections from speeches, journalism, literature and poetry, as well as performances of important music of the time. Ambassador Waldner read a diplomatic note by Ottokar Czernin, foreign minister of the Austro-Hungarian Empire, in reaction to the U.S. declaration of war on Germany. Ambassador Wolfgang Waldner (left) with the Governor of Missouri, Eric Greitens.